The wave of the future is already here, finally, after years of predictions. Electric cars, EVs, are already on the road and charging at public charging stations, as well as at home. While the Jetsons’ vision of flying cars remains ahead, quiet, efficient and high-performance EVs usher in a new era. Along with electric motive power, Electric cars arrive at a time when technology provides new safety features and increasing self-driving autonomy. In late 2016, the city of Waterloo approved the first self-driving car permits. It’s a move that’s in keeping with its reputation as a high-tech corridor. Both self-driving and electric car technology have important ramifications for the auto insurance industry. Each of these, on its own, is a game changer. Together — as seen most prominently with the Tesla line of vehicles — these could start a period of decline for car insurance revenues that already has industry forecasters concerned. Forecasting the future needs for electricity in Ontario is facing a bit of a wild card in the coming years. After years of preaching conservation, the province experienced the winter of 2015/2016 with demand for energy quite a bit under its predictions. That wild card, though, may gobble up any excess hydro that suppliers produce. The growing demand for electric vehicles represents a planning gamble for utilities throughout North America. Pinpointing exactly how many electric vehicles will be on Ontario roads is not easy. Forecasts for electricity usage for the next 10 to 20 years count on a gradual increase in the number of electric cars year to year. However, when EV manufacturer Tesla introduced a new, low-cost model targeted for release in 2017, pre-orders exceeded a quarter million vehicles in days, forcing Tesla founder Elon Musk back to the production drawing board, according to his Twitter feed. One million electric cars are equivalent to about 13 percent of Ontario’s total vehicle count. That many EVs would account for 2.2 percent of provincial electrical grid capacity. 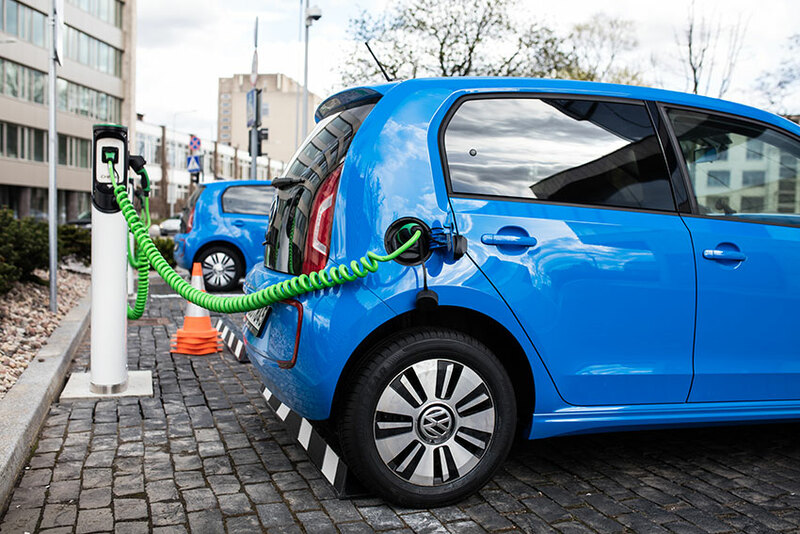 The Independent Electricity System Operator, non-profit overseer of Ontario’s 21 regional electricity providers, forecasts a 50-percent annual increase in electric cars, estimating 600,000 vehicles on the province’s highways by 2035. This forecast was made before the announcement of the Tesla Model 3. While that would seem to be manageable from a capacity standpoint, there are other infrastructure concerns that could cause complications with far fewer vehicles. In some cases, four cars charging on one transformer may be enough to cause an overload. Since there’s no way to know the distribution of electric cars in a neighbourhood, planning is impeded. Charging station planning becomes critical to support a growing electric car base. The IESO expects that over the next 10 years, increases in electricity demand will be offset by consumer conservation. If the stunning response to the Tesla Model 3 continues, the major car makers are likely to ramp up their production of electric cars to capitalize on the demand. This could lead to a critical point where EV sales explode exponentially, changing the model from a demand standpoint. If the trend of conservatism also increases ahead of forecast, then electric car demand is at least partially offset from a supply standpoint. Delivery, in the form of charging stations, remains a big question mark in the face of explosive electric car growth. So where are we at right now? Already, electric cars defy typical patterns for insurers. Usually, when a new model vehicle emerges, it’s met with skepticism from the insurance industry, needing to prove itself. In Canada, the Insurance Bureau of Canada collects claims information from all the insurance providers across the country and provides data back to both providers and consumers indicating how nearly every make, model and year performs in a variety of categories. That history factors into how insurers charge premiums based on specific cars. Models with a history of poor performance cost more to insure than those with good track records. It’s about risk determination based on past performance. Electric cars have little past performance. While the Nissan Leaf and Chevrolet Volt appear in the most recent IBC data, Tesla vehicles aren’t yet common enough to make the ratings. Conventional wisdom suggests that the industry would remain cautious, pricing insurance for these vehicles higher, until patterns emerge. However, indications are that electric cars cost less to insure than similar conventional vehicles in the same class in today’s market. Pinpointing precise trends remains difficult, due to the competitive nature of the Ontario auto insurance industry. Each insurer develops their own way to assess risk and assign pricing. Part of this trend seems to stem from earlier hybrid vehicles that mixed conventional fossil fuel engines with other technologies. Cars had sluggish performance compared with regular models. Subsequently, a hybrid car didn’t invite aggressive driving habits. This tendency usually results in savings at insurance renewal time. Hybrid vehicles also fit a market niche of safer drivers, those with families and concern for the environment. Industry experts suspect that environmentalists pay more attention to their surroundings, which may result in safer driving habits. Whether that’s true or not, the early statistical evidence supports the idea enough that many insurers offer discounts to owners of green vehicles. It’s still very much a niche market with patterns still establishing, but EVs seem to gain from the association with other green vehicles. This is an interesting consideration given that some electric cars feature a factor that makes insurers nervous — high performance. Check out this video of an electrically powered dragster reaching 184 miles per hour. While you won’t see that car beside you on the 401, it uses essentially the same technology as the Tesla Model S. Depending on optional equipment, the Model S accelerates from zero to 100 km/h in just over 3 seconds, faster than a conventional Dodge Charger Hellcat or Porsche Panamera Turbo. Electric cars need not be anemic under-performing country cousins to gas-powered vehicles. While that’s sure to excite drivers who crave G-force acceleration, it’s a characteristic that would typically make insurance companies jumpy. It’s the very definition of inviting when it comes to aggressive driving. So far, though, no statistical backup suggests this is happening. It may be due to the high price point of the Model S attracting drivers who are more mature and whose street racing days are distant memories. Tesla’s Model 3, due for release in 2017, aims for a much more affordable $30,000 price. However, its batteries, range, speed and acceleration spec out lower than the Model S, part of its concession to lower pricing. Fueling electric cars is another challenge. The procedure has little in common with conventional cars. In many cases, home charging takes care of an electric cars’s needs. Plugging in overnight provides all the range necessary. However, like gas vehicles, electric cars will run low at the worst possible time. The provincial government partnered with both public and private sector businesses, assuring a network of nearly 500 charging stations across Ontario ready for action by March 31, 2017. Comprised of Level 2 (slower charging) and Level 3 (fast charging) stations, these facilities serve the places Canadian drivers are found. Tim Hortons, IKEA and McDonald’s will host charging stations in this stage of the EVCO Grant Program. In July 2016, green license plates — both literally and figuratively — became available to green car drivers. Not only do they advertise the drivers’ commitment to the environment, they serve as a pass to use high-occupancy vehicle lanes, even if there’s only the driver in the car. With a new method of fueling, new challenges emerge as the need for on-the-fly top-ups creates a surge in charging station demand. Rather than the few minutes it takes to add a few litres to a gas-powered vehicle, recharging is about a 15-minute procedure. Combine that with growing demand and limited charging stations and time at the electric pump can easily triple. An early fear about electric cars was that batteries would exhaust miles from a charging outlet. That concern is starting to fade as more and more charging stations appear. The three most populous provinces are actively planning more to encourage the proliferation of the green vehicles in the fight against greenhouse gas emissions. With electric car manufacturer Tesla announcing its new Model 3, an affordable downscale EV targeted for the masses, demand for all manufacturers’ electric entries may be ready to explode. That, in turn, will place increased demand for charging stations. Ontario is injecting $20 million in funding for increased charging station activity at both public and private sector levels. The target is station availability every 60 to 80 km along major highways as well as literally hundreds of urban regular-charge terminals. Quebec’s Electric Circuit network already counts 619 charging stations. Thirty of those are high voltage, quick-charging facilities. The province wants to double the quick-charge outlets and bring the total up to 800 by the end of 2016 to service the 8,500 EV and hybrid vehicles on its roads. Unlike gas-powered vehicles, not all electric cars require trips to the charging station, so it’s hard to predict demand. Usually, a home-based overnight charge will meet the range demand for most electric car owners. It will, in theory, only be the procrastinators and long-distance drivers who will need the charging station top-ups. Of course, with a technology this young, it will take time for patterns to emerge both in consumer trends toward electric cars and how the tech itself plays out as vehicles age. 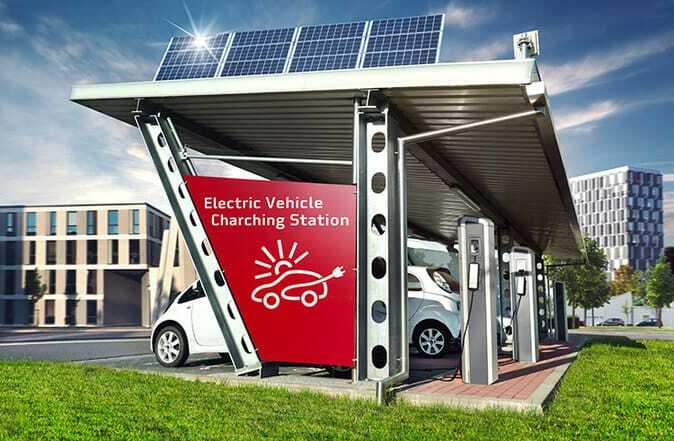 Demand for electric cars and charging stations will spur its own tech offshoots that streamline and maximize efficiency for later generation charging stations. Representing what’s arguably the strongest push yet for all-electric cars, Tesla Motors has been active in Canada since 2013. Currently selling only one model, an SUV will be released in late 2016, with a third model planned for 2017 to bring Tesla’s technology into financial reach of many more drivers. Let’s take a look at the company’s concepts and cars. Founder Elon Musk, he of PayPal startup fame, turned his attention to forward-think technology in both space travel and electric vehicles. Musk himself believes that electric vehicles need the backing of the major car companies, that they need to take risks to make a successful move away from fossil fuel-based transportation. He sees Tesla’s role as a guide through the wilderness, a demonstration of what electric powered cars can do. Musk hopes that this will create a groundswell that nudges the majors more quickly down the electric path. One of the strongest sales points in favour of Tesla electric cars is the aspect of lifestyle its owners have bestowed. While car owners’ clubs have been around since the earliest days of motoring, rarely have these groups been incorporated into a company’s marketing efforts the way Tesla is promoting. User groups are speaking on the company’s behalf in events and car shows. This sets a whole different tone than that created by sales staff. This owner-first enthusiasm emphasizes the experience over the sale. A similar lifestyle-based car culture built around the early days of the Saturn brand and its positioning as the All-American, made by your buddies vehicle. The Tesla electric car owners are, in general, pretty driven by the move away from internal combustion engines (ICE) and so it’s easy for those with green environmental leanings to be influenced by owners who are walking the talk. 17-inch touchscreen to control car functions, such as opening the panoramic sunroof, climate control and radio. It is also the control centre and display screen for the backup cam, Google Maps, hands-free phone system and navigation system. Autopilot automatic steering features, traffic-aware cruise control and auto-parking features. 5-star safety rating from the National Highway Traffic Safety Administration in the U.S., scoring the highest rating ever achieved by a car. The Model X SUV is expected in the second half of 2016. With four doors and seating for seven, its most distinctive feature is the rear gull-wing doors. Able to open with as little as one foot of side clearance, the middle row of seats is easily accessible for parents buckling in kids and car seats. Delivery for the Model 3 is expected in late 2017. This is Tesla’s affordable model, with prices starting at $35,000 USD. Able to seat five, its range per charge is shorter than its siblings, but it is still designed for superior safety includes all the hardware to enable the Autopilot system features. The state of electric cars auto insurance in Ontario is still in flux. The IBC claims statistics require that at least 1,500 cars of a particular model have insurance before results make it to their reports. Car industry predictions remain mixed as to how fast and how deep the electric car trend will move. Initial interest for the Tesla Model 3 exceeded expectations, but it remains unknown if the automaker can meet demand. At the same time, major auto manufacturers continue to quietly serve electric car demand through conventional car sales outlets. While initial indications about electric car insurability look good, clean driving and claims records remain the strongest ally in the quest for low-cost insurance. No matter what technology powers your car, Ratelab helps find the most affordable and appropriate auto insurance coverage. Try the car insurance calculator by entering your postal code in the boxes above. Enter your postal code information then complete the data over the next few pages. You’ll shop over 40 insurance companies for the best rate. There’s no cost, so try it today to see how much you can save.